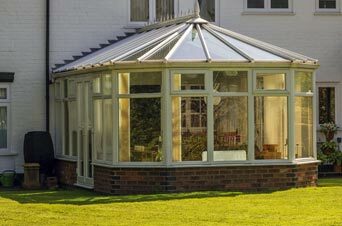 Here at Pinnacle Home Improvements we have many years’ experience in building conservatories throughout the Birmingham area, creating lots of bright extra space to be enjoyed all year round by our customers. 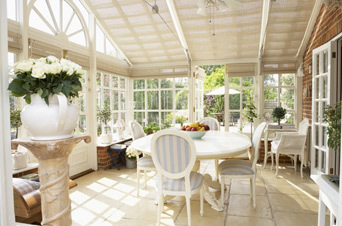 As part of that installation process, we also fit conservatory windows. 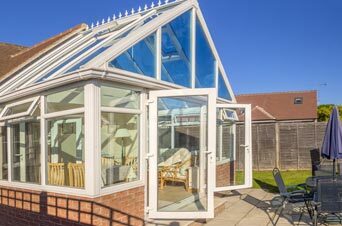 However, the moment you have your conservatory built might not be the only time you need to have windows fitted. 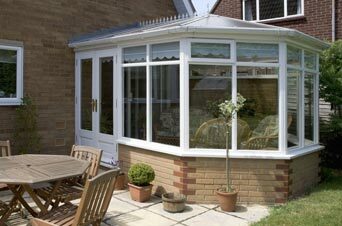 Thankfully, Pinnacle are also experts at replacing conservatory windows when they’re cracked or broken. Double glazed window units have air or sometimes an inert gas sealed inside and if the seal becomes damaged in any way, or the glass has even the tiniest hole or crack, you will often observe some misting inside the unit. This is another reason you may wish to replace your windows. Many people who are not especially skilled or experienced decide to have a go at replacing their conservatory windows themselves, but the advantage of having a professional do the job for you is that you know the job is going to be perfect. If you do choose to do it yourself and you don’t really know what you’re doing, there is a very good chance you might damage the glass before you get it into position, ultimately ending up massively out of pocket. Conservatory window installation is a very tricky process. It may look simple, but just the tiniest of mistakes can cause serious, costly problems down the line. With Pinnacle, every detail is taken care of by our friendly fitters who will come and measure your windows in the first instance, before returning with the perfect replacement. Pinnacle can install all kinds of different conservatory windows in a variety of different conservatories, including the following. Whatever it is you need, our friendly team of experts can deliver the solution that’s perfectly suited to your own particular conservatory window requirements. They’ll do a professional job and they’ll do it quickly — most window replacement jobs are completed within half an hour of arrival. Our fitters also make sure they tidy up after themselves to such an extent that you can’t quite believe they were really there! Once your new windows have been installed in your conservatory, Pinnacle want you to feel confident that both they and you are fully supported and can remain in perfect condition for many years into the future. So, aside from providing a 5-year guarantee, we’re also very happy to offer some advice on the best, most simple aftercare solutions. In short, use a quality glass cleaner on your windows and make sure to avoid using anything abrasive. If the windows have frames made of hardwood, remember to wash them with clean water and allow to dry naturally. Also, once a year, apply another coat of microporous sealant as outdoor protection. Be sure to ask our fitters for more information. For conservatory window installation, repairs or replacement, as well as conservatory doors, please give us a call on 01527 522019 at Pinnacle today and ask for a free, no-obligation quote.